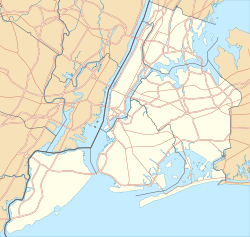 Columbia Grammar & Preparatory School ("Columbia Grammar", "Columbia Prep", "CGPS", "Columbia") is one of the oldest nonsectarian private schools in the United States, located on the Upper West Side of Manhattan (5 West 93rd Street), in New York City, New York. It was founded in 1764 by Columbia University in order to properly prepare incoming freshmen in the fields of English, Greek, and Latin grammar. By 1865, the school had grown substantially and was no longer connected to the university. The school was originally known as The Grammar School of King's College (King's College was the original name of Columbia University). The school changed its name concurrently with the university during the American Revolution to Columbia Grammar School, and added the word preparatory in 1978. While grammar and preparatory have differing connotations, the entire school is known by its full name. The school has existed in several locations over the centuries. In 1906, the school moved to its current location on 93rd Street, off Central Park West. It originally consisted of one building, and expanded by adding five brownstones through the merger of the adjacent Leonard School for Girls in 1950. A building across the street was built in 1984, followed by two more in 1997 and 2001. An administration building was added to the school in 2009. In the past 20 years, the average size of the graduating class has more than doubled from approximately 45 to approximately 125. In 2017, Dr. Richard Soghoian, who held the position of headmaster since 1981 retired. As of the 2017 school year, the new headmaster is Dr. William Donohue. Dr. Stanley Seidman was the grammar school director until his resignation in 2010; the current grammar school director is Sarah McLean. Sue Kilmer is the current prep school director. The school serves grades Pre-kindergarten to 12 and offers a college preparatory curriculum. Current tuition for the 2017–2018 academic year for 12th grade is listed on its website at $49,440. Columbia Grammar School was founded in 1764, just ten years after the founding of King's College (later Columbia University). Originally established as a boys' preparatory school for the college, it functioned for one hundred years under the direct auspices of the college. One of the most illustrious headmasters during that period was Dr. Charles Anthon, one of America's earliest and most distinguished classical scholars. During his tenure the grammar school provided over half the students to Columbia College's freshman class. In 1864, when Dr. Anthon retired as headmaster, the trustees of Columbia College terminated their relationship with the grammar school and the school became a proprietary institution, only achieving its nonprofit status in 1941. 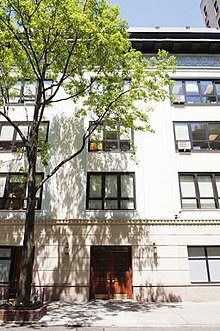 In 1937, the Leonard School for Girls was founded, using several interconnected brownstones on West 94th Street (now part of the lower school). The school joined with the grammar school in 1956 to become a coed institution. As the 13th headmaster in the school's long history, Dr. Richard J. Soghoian [1981-2017] guided the physical expansion of the school from its 1906 home at 5 West 93rd Street to the present complex, which totals 215,000 square feet with 14 buildings between 92nd and 94th streets. Columbia Grammar & Preparatory School is a fully independent, non-sectarian school governed by a board of trustees composed of alumni and parents. 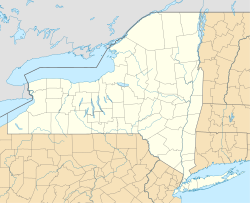 The school is accredited by the New York State Association of Independent Schools, the Middle States Association of Colleges and Schools, and the New York State Board of Regents. The school is a member of the Independent School Admissions Association of New York (ISAAGNY). Columbia Grammar & Preparatory School greatly expanded its physical plant after 1985. Three entirely new buildings and a fully renovated brownstone have, together with the existing buildings, added academic facilities as well as two new theaters, several computer labs, a variety of art studios and space for a growing music program. 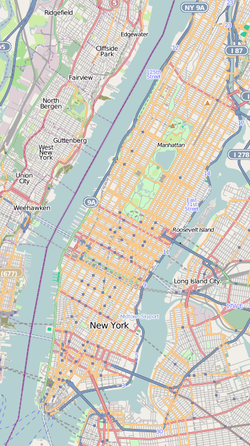 The Grammar School is located in a series of five interconnecting brownstones on the tree-shaded 94th Street, just off Central Park, and the original Columbia Grammar School building (1905) at 5 West 93rd Street. In addition to classrooms, these house two libraries, two art studios, a gymnasium, swimming pool, two music studios, a science lab, a computer lab, and the Grammar School cafeteria. 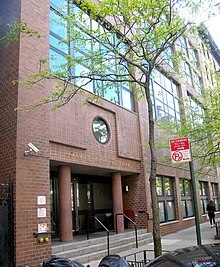 The school began its expansion in 1984 with the construction of a new preparatory school at 4 West 93rd, containing a full-sized gymnasium, three science labs, state-of-the art computer lab, library, three music studios, and nine classrooms. In 1996, 36 West 93rd Street was completed, adding 42,500 square feet (3,950 m2) of space to the physical plant. This building, which goes through from 93rd to 92nd Street, has two computer labs, five art studios, library, science labs, and classrooms for grades 5 and 6, a fully equipped theater, and a large cafeteria. In September 2001 a major addition was added onto the high school containing yet another full-sized gym, a state-of-the-art theater, and three floors of classrooms and science labs. Five new classrooms were also added. Since then, many brownstones have been added, one entirely for offices, and a building dedicated to the arts. A walkway has been built behind the multiple brownstones to make them easier to navigate. In 2009, CGPS purchased several new brownstones, one entirely for the kindergarten, another for a science building, and one for administrative offices. Two new levels are being constructed in the 5th and 6th grade building. The prep school also added a new level to its library. The new CGPS Middle School opened its doors to students in grades 5, 6 and 7 on Thursday, September 8, 2016. Two floors were added to the existing 36 West 93rd Street building to create a 6th and 7th floor solely for these grades, while the remainder of the building has been renovated. The ground floor now features an expansive yoga and dance studio; the existing prep school cafeteria has been renovated and a second floor cafeteria was added specifically for Middle School students. New art studios as well as a new library, 3 science labs, a rooftop play yard, and 12 classrooms have been added to the building. The HVAC system has been updated and the building is fully handicap accessible. Felix Adler – Jewish leader who founded the Ethical Culture movement. Josh Fox – Filmmaker (HBO documentaries Gasland, Gasland Part II), theatre director, founder of International Wow Company. Murray Gell-Mann (valedictorian) – Nobel Prize winner for the discovery of quarks and other subatomic particles. Zack Hample – Major League Baseball collector, who caught Alex Rodriguez's 3,000th career hit and Mike Trout's first career home run. The Postelles – Indie rock band, whose members attended Columbia Prep. This page was last edited on 13 March 2019, at 23:28 (UTC).